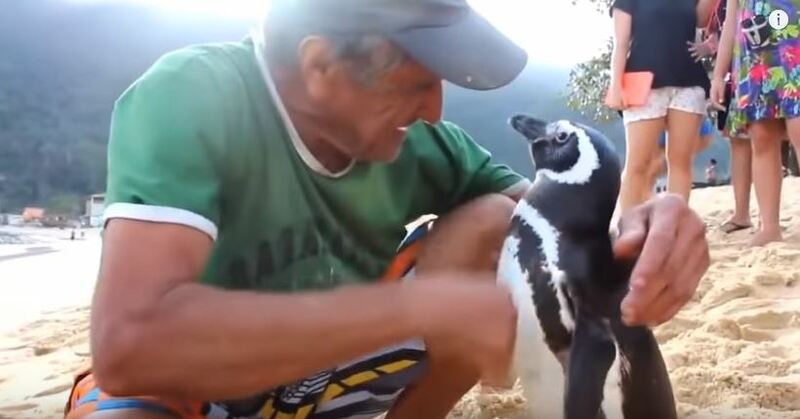 Joao found the tiny penguin, at his local beach lying on rocks, it was covered in oil, could barely move and was close to death. Joao cleaned the oil off the penguin’s feathers and fed him a daily diet of fish to build his strength. He named the penguin Jin Jing. Every year the Penguin leaves to the breeding grounds and then returns to Joao.